Please note that all the financial matters relating to dues, annual fee and one life-time registration fee etc. by States Units to ITCF INDIA will be discussed in the meeting with all the representatives of the States Units. Please make the constitution and divide their organizing functions/financial powers of the above. You may also change the guidelines of your State Unit as per your convenience. Please also send the details of your Federation’s working, elections etc. All the affiliated State Units will have to establish National level TWENTY20 Cricket Academies. All the affiliated State Units to make their State i.e. state/zonal Units. All the affiliated State Units may open their account on the behalf of State TWENTY20 Cricket Federation. The Account is to be operated by Secretary General and Treasurer jointly. All the affiliated State Units are to organize National TWENTY20 Cricket Tournaments of ‘Senior’ and Jr. level’ as per ‘Rules & Regulations’ of ITCF INDIA. The tournament should be played on ‘Turf’ wicket with ‘White Ball’ and ‘Colored Kits’ with their Federation name & logo, player’s name & number. The teams will follow other international cricket terms & playing conditions. Black site screens are must. All the Affiliated State Units should send their official letter-pad copy, ‘Logo’, Kit Color & Official dress for other functionaries to ITCF INDIA for approval so as to differentiate from one and another team. All the Affiliated State Units should make their official website. Also crate account/page on face book/twitter etc. Sponsorship for International matches organized by ITCF INDIA like World Cup/Champions Trophy/Asia Cup (under 20 also) on TV rights, Logo-matters and other financial matters. Sponsorship for International level tournaments organized by ITCF INDIA. Playing professionally in other countries/various clubs. 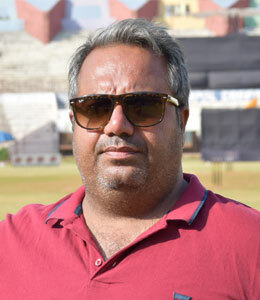 The player who registers with ITCF INDIA or any affiliated State Unit, if involves in match fixing or any type of betting or its registered player/official/etc are involve for taking drugs and other serious misconduct/misbehavior/legal offence in or out of field, he will face Life Ban or other punishment.